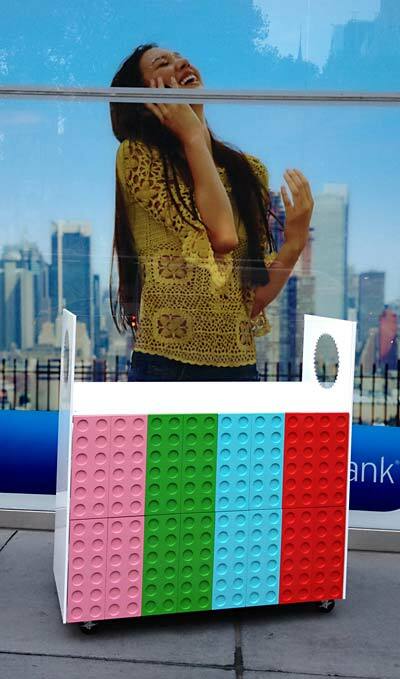 sprinkles Archives - TMRnyc - Total Metal Resource, Inc. 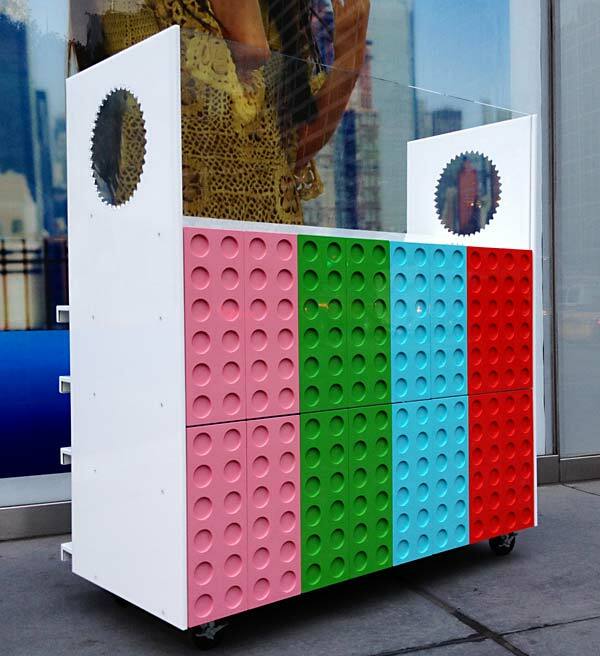 The A-Team from TMRnyc just delivered this fantastic cupcake cart for our favorite cupcake company, Sprinkles Cupcakes in NYC. 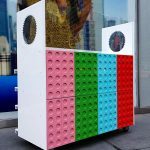 Enjoy their delicious cupcakes starting Nov 21st and see this nifty cart where it will be located inside the Dylan’s Candy Bar Pop-Up shop across the street from Bryant Park for the holiday shopping season. 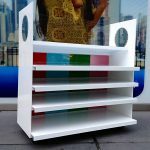 Designed by Andrea Lenardin Martin of ALM projects, we custom fabricated this colorful little metal cart from powder coated aluminum, plexi-glass and cupcake trays in record time to meet their deadline. 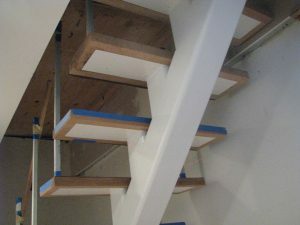 Click images to view a larger version. 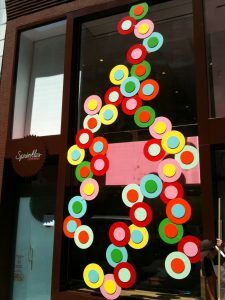 Who made the dot screen at Sprinkles newest NYC location. That is right. TMR did! Each circle is fabricated from steel, water jet cut 1/4″ diameter circles, that are plug welded together and sandwiched by two pieces of aluminum. The pieces were then powder coated with seven different colors and baked in the oven for seven heats by our good friends at Carter Spray. Sprinkles was also recently featured in an Inc. magazine article about the cupcake craze sweeping the nation. TMR also fabricated the small tables you see in the article and the stainless steel walk of fame stars that are in the concrete. Sweet! This was a fun project and a lot of work but well worth it for the phenomenal cupcakes they make. I highly recommend a visit. You can read all about it by clicking the link below or the photo.